Also known as skin needling, dermal roller is a safe, non-ablative procedure which visibly regenerates and restores ageing skin and helps to reduce the appearance of common skin conditions, such as atrophic scars, enlarged pores and uneven skin tone. In non-ablative therapies, the aim is to induce new collagen synthesis without the need to remove the epidermis, making dermal roller treatments appropriate for all skin types. What are the benefits of dermal roller treatments? 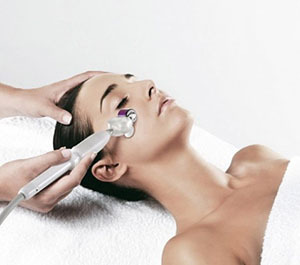 How do dermal roller treatments work? Each Skinrolla is individually wrapped and sterilised for safe, hygienic use. The 192 needles on the barrel range from 0.5mm to 3mm in length and have been specifically designed for the utilisation of skin experts only.